In this day and age, it appears that every entrepreneur, marketer and publisher wants to know how to become a thought leader. The advantages of being seen as one reads like a recipe for true happiness. It’s easier to try and become a thought leader than ever. Through the power of the internet, the most unqualified keyboard jockey could potentially share their opinions with millions of people. Most of us are doing so. There are roughly 6,000 tweets posted every second and around 2 million blog posts published every day. Yet, despite everyone’s best efforts to be heard, I could think of a handful of examples of people who I considered true thought leaders in the niches I follow. That doesn’t mean it’s impossible. It means most people are doing it wrong. 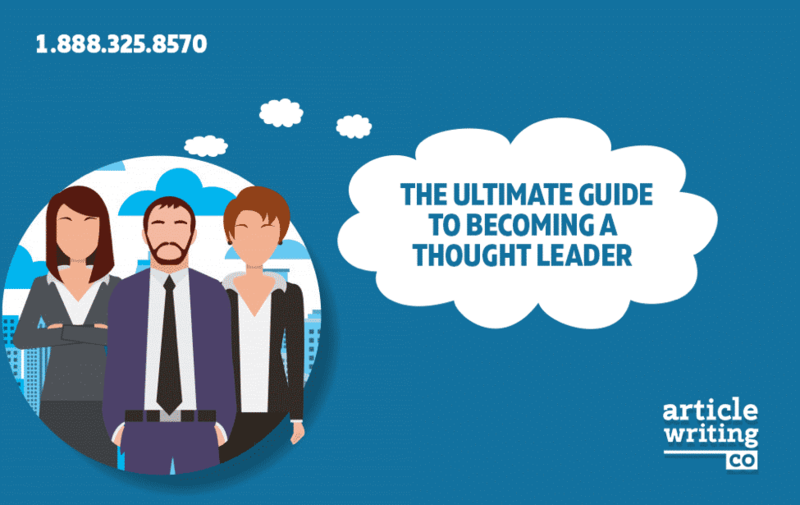 In this post, we’ll explore what it means to be a thought leader, how to become a thought leader, and the steps YOU can take to achieve it. Many readers may remember their first job where they had to demonstrate knowledge of SEO. This wasn’t the sort of thing that was taught in school, at least not in my day, so newbie online journalists needed to pick it up as they went along. Of course, SEO is rarely black and white. There’s a lot of theorizing and opinions, as Google doesn’t reveal the finer details of its search algorithm. Yet, with so many opinions being shared online, who was a young go-getter new to the world of online writing supposed to listen to? It soon became apparent that Matt Cutts was a safe bet. At the time, he was head of webspam at Google and spokesperson for all things SEO. He was my designated SEO thought leader (although if you’re after a beginner’s guide to how SEO helps bloggers, we’ve done a great job of explaining it). Of course, Cutts had the advantage of knowing information that Google would keep secret from the rest of the world, but nonetheless he still displayed all the characteristics associated with how to become a thought leader. Joe Pulizzi, founder of the Content Marketing Institute, appeared to be the guy to follow for all things content marketing, while Social Media Examiner was (and still is) the most reliable source for developments in social media (brands can be thought leaders just as easily as individuals). What are your go-to sources for news and opinions in your niche? It would be wrong to publish a detailed definition of thought leaders without comparing them favourably to one of the biggest online trends of the last few years: social media ‘influencers’. While this buzzword has many definitions, it’s the stereotypical YouTuber or reality television star with millions of social media followers that has caught the attention of brands in recent times. While these ‘celebrities’ may have fantastic reach, they don’t necessarily need expertise. 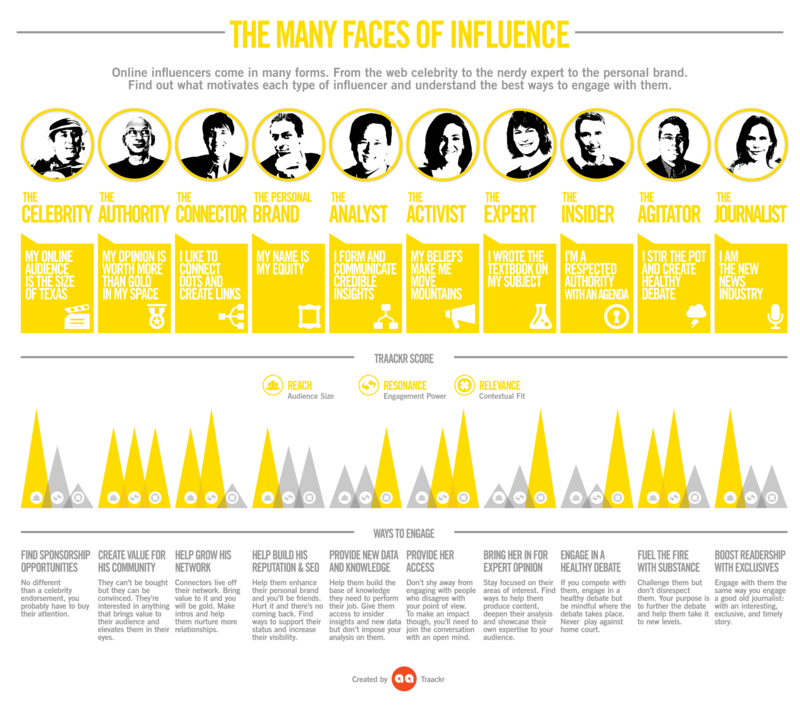 “While influencers are about follower numbers, thought leaders are about expertise and knowledge. Thought leaders are people who care about their niche and industry for real and enough to invest time and money in becoming experts. “They work in the industry, they learn all the time, they make it a point to generate quality and authentic content, not for their own profit or someone else’s profit, but for the purpose of educating others about something they’re passionate about”. The first thing a thought leader needs is a niche. It’s impossible to be an expert in everything, no matter what your wife tells you. The more detailed your niche is, the easier it is to become a thought leader and the less competition you’ll have to be crowned the go-to source for information. Just as businesses need to create a unique brand in order to succeed, thought leaders should do the same. A common mistake that a lot of social media users make is posting about too many things. If you use your social media to concentrate on two or three topics maximum and serve them better than anyone else, people will have a clearer idea of what you have to offer and will be more likely to follow you, especially if they have a keen interest in these subjects. In order to be deemed a thought leader, it’s necessary to address all of the major issues within your niche. It’s not just a case of sharing relevant articles. It also involves stating your opinion on these developments, either via social media or blog posts. Thought leaders tend to make bold predictions on the future of their niche, as well as sharing tips on how to succeed. These tips are typically based on what they did to succeed within their niche. It’s hard to take anyone seriously as a thought leader if they haven’t achieved success themselves. Another defining characteristic of thought leaders is that they seem to be EVERYWHERE. They’re not only active on all social media channels, but they’re being chased for quotes all over the media. In the next section of this guide, we’ll explore how you too can be EVERYWHERE. Social media The first step to gaining the presence of a thought leader is ensuring you’re signed up to all of the major social media networks. You don’t necessarily need to be active on all of them, only the networks where your target audience is most active. Still, it’s worth grabbing your brand’s URL on plenty of social media networks in case they blow up in the future. For less important social media networks, consider using automation tools that syndicate all your posts from one website onto another. IFTTT is a great tool for social media automation. With each network you sign up to, ensure your profile photo, cover image and biography remain consistent. Seeing the same imagery and biography across a number of different online platforms will help people remember your identity each time they spot you, reinforcing your reputation as a thought leader in their minds. Ideally, you’ll be able to publish unique content across all of the social networks you deem as important. Promotional content won’t boost your reputation as a thought leader, so focus on creating value for your followers. This content could include commentary on industry issues, predictions of future trends and tips to people who are interested in your niche. This type of content will boost your follower count and your reputation as an industry expert, which will lead to more sales in the long run. An email list is an essential tool to accompany a strong social media presence. According to Mailchimp, the average email open rate is between 20% and 22%, depending on company size. The click-through rate is between 2.4% and 2.9%. In comparison, the average Facebook Page post reach is 7% and the half-life of the average tweet is 16 minutes. Email has historically been the platform which people use for purchases and business transactions. What’s more, your email list belongs to you. There’s no middle man with an algorithm that decides how many of your subscribers should view your content. Your message sits in the recipient’s inbox until it’s dealt with. Tim Grahl, founder of booklaunch.com, says that email marketing is 100 times more effective for authors than social media. Most professional bloggers will incentivise readers to join their email list by offering a free gift, such as an e-book or video course. Bryan Harris, the founder of Videofruit and arguably the thought leader in the niche of email list-building, has some great tips to help you build yours, plus here’s some great tips for creating sparkling email copy from Henneke Duistermaat. Having your opinion quoted by a third party is a powerful way to boost your reputation as a thought leader. By including your quote in their article, the author is essentially telling his audience that your opinion is worth listening to. The presence-boosting tasks mentioned above should result in more bloggers and journalists reaching out to you for quotes organically. Posting highly-quotable 10x content is another effective way to get your name out there, as other bloggers in your niche will inevitably cite it within their own research. It’s also possible to proactively seek opportunities to share your opinions in the media. Wondering how to get press this way? Help A Reporter Out is great website to help you, or if you’re really serious about generating media opportunities, you could outsource this task to an established PR company. A step-up from having your quote shared by a third-party is having an entire article published on its website. This is called guest posting (or sponsored posting, if you pay for it). Again, this serves as a recommendation from the publisher that you’re worth listening. You’ll usually be able to add a link back to your website within a guest post, which will serve to boost your online audience and your SEO. For this reason, most professional bloggers take guest posting very seriously. Many will hire a team of ghostwriters to ensure they get their face in as many third-party blogs as possible. If you’re wondering how to hire a ghostwriter, have a look at the article writing services we offer. If you’re planning on guest posting without any help and wonder how to get press, this guide on writing successful pitching emails is a must-read. Everyone thinks you have to be crowned as an ‘expert’ before they can start pitching behaving like a thought leader. In reality, it’s the other way around. If you can share opinions consistently, spread your name as widely as possible and show evidence of success within your niche, you’ll slowly begin to attract an audience who’ll be inspired by what you have to say. It’s not an overnight process and there’s not a specific day where you’re bestowed the ‘thought leader’, but if you show you can perform the tasks listed above every day, you’ll gain more of the respect, trust, and attention that’ll work wonders for your personal brand. Of course, this journey to becoming the expert voice in your industry can be made quicker and easier with an experienced team of content writers at your side. Learn more about how Article-Writing.Co can help you. Interested in a Totally Free Content Marketing Audit?